At Fotografia Europea 2012, Igor Mukhin, one of Russia’s leading contemporary photographers, is exhibiting a project dedicated to his native city of Moscow, where he still lives today. The exhibit originates from an investigation conducted over many years and put together in his book entitled My Moscow, the title also chosen by the artist for his personal exhibit in Reggio Emilia. His shots, all black and white with silver salt printing, capture the metropolitan life of a country undergoing rapid transformation, documenting through poetic snapshots the post-Soviet era and focusing specifically on phenomena of youth subculture. The main actors in his images are definitely young people, depicted in scenes of everyday life as well as in public engagement events. With an almost documentary-like approach Mukhin portrays a generation that has witnessed the shift from communism to capitalism and which seems divided between enthusiasm for an unpredictable future and nostalgia for a past that is irredeemably lost, between the icons of a new course and the dusty relics of the past. Mukhin has seen this generation with his own eyes and has produced a unique cross section of young people, in this case of the post-Perestroika years, illustrating the disenchantment and the consequences of the end of an era. Mukhin’s vision never comes across as pre-constructed, obvious or banal, but is always free of ideological references, condemnations and denunciations, reflecting instead a restlessness typical of youth. Igor Mukhin was born in 1961 in Moscow, where now lives and works. He worked for many years as a photographer of the samizdat (the regime’s definition of illegal and dissident activities) rock music scene and the works he produced at that time are still his distinguishing mark and made him famous throughout the world. In 1986 he held his first personal exhibit at Moscow’s State University and received full recognition in 1991, when his name crossed Russia’s national borders and his works were simultaneously exhibited in Paris, Washington, Baltimore, Zurich and Denmark. In 1997 he exhibited at the Maison Européenne de la Photographie in Paris, in 1998 at MoMA in New York and in 1999 his work ‘After the wall’ was presented first at the Moderna Museet in Stockholm, then at the Ludwig Museum in Budapest and finally at the Hamburger Bahnhof in Berlin. In 2006 he was again at MoMA in New York with the exhibit ‘Photography from the collection’, and in 2007 his project entitled ‘Sots Art. Political Art in Russia from 1972 to today’ was presented at the Maison Rouge in Paris. In 2010 he participated in the group exhibit ‘The original copy: photography of sculpture, 1839 to today’ held at MoMA in New York, which featured the leading photographers of all times. He has taken part in numerous photography festivals all over the world and his works have been published in important Russian and international magazines such as Elle, Vogue, Le Monde, Libération and Time. 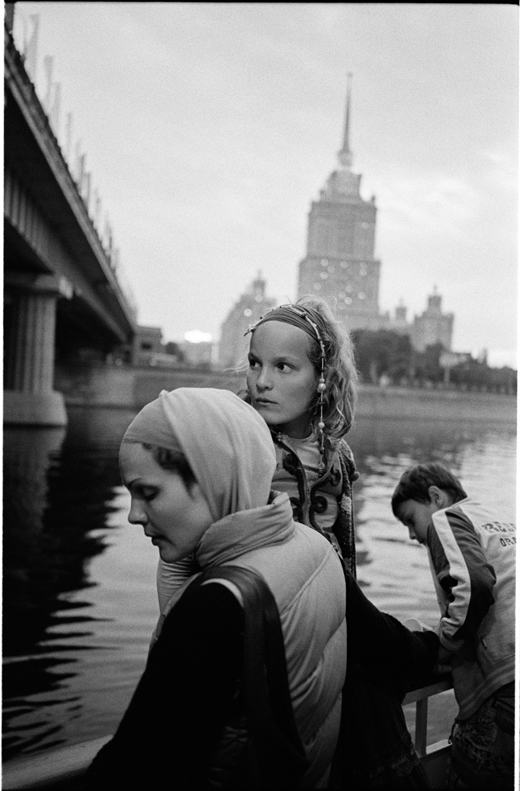 He is regarded as one of the leading Russian contemporary photographers.